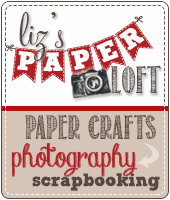 Liz's Paper Loft: PK Sneak Peek Day1 ~ Howdy! 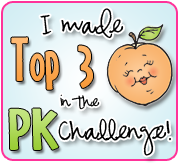 Today is day 1 of sneak peeks for Peachy Keen Stamps newest release! 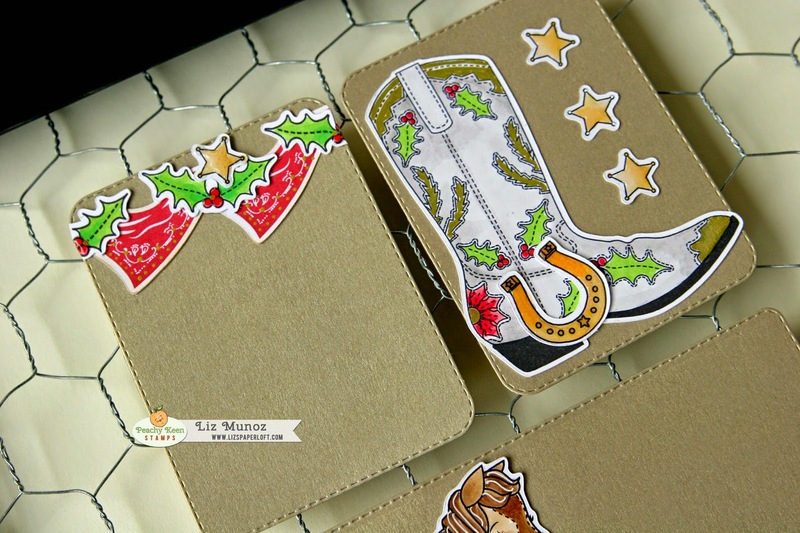 It's a winter cowboy theme release, but it's so much more than that! I've been having so much fun with these new stamps! I little bit of coloring ( I used copics) and ink make this fun snowman come to life. I couldn't just stop at the snowman...I had to get some pocket cards ready for my Christmas pictures. Both projects are perfect. 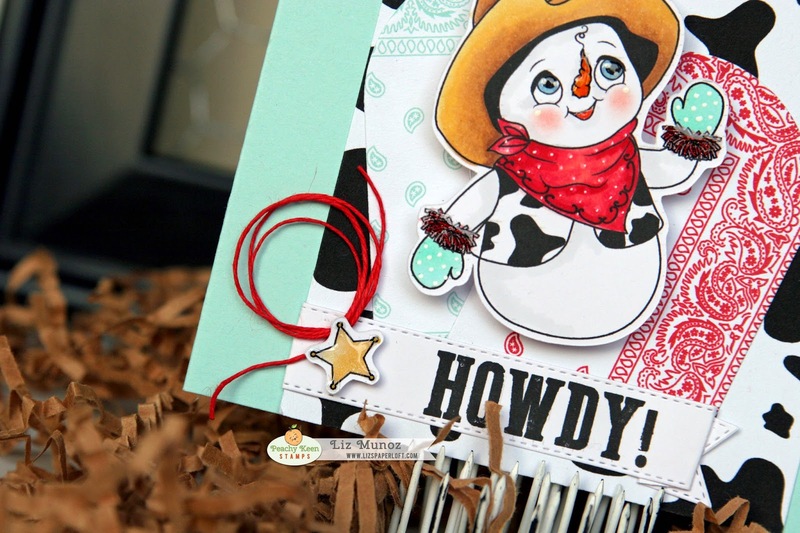 Love the bandanna background with your cowboy snowman! LOVE your CUTE cards. Thanks for sharing. Too darn cute Liz...love them both!!! 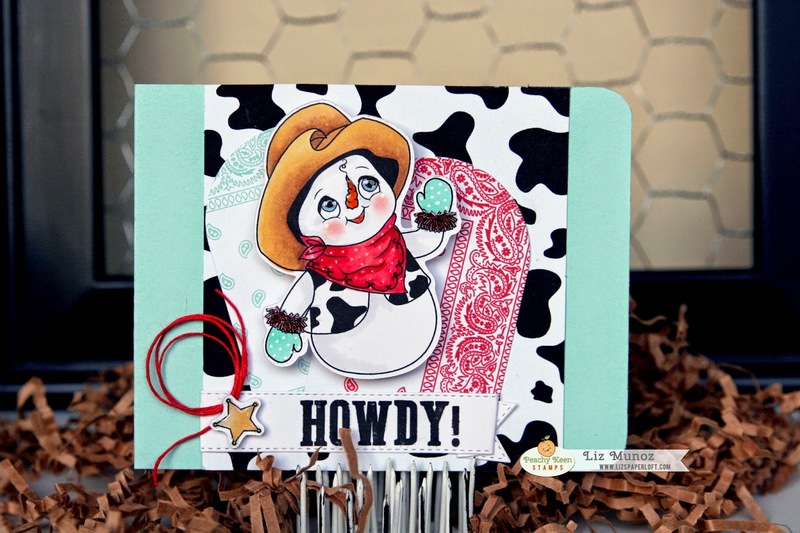 oh my such cute projects.... That adorable snowman card is perfect and your coloring superb! Wow, I love the new stamps, your projects are beautiful, TFS. Liz, these are beautiful projects. My favourite is the snowman. I love how you did the eyes, it really brings the snowman to life. 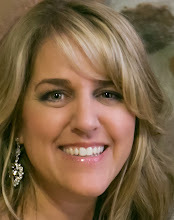 Liz ~ Oh goodness these are so darn AMAZING!! I mean both the stamps and your PL cards! BEATUIFULLY coloring too!!! Love this release! Cute card. He's ready to lasso the horse. the little cards are cute too. Are you kidding me! I LOVE your wobbly snowman! That was such a cute idea! 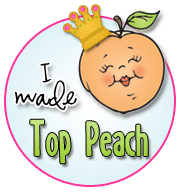 And your other creations are so pretty! Love that boot! Your snowman card is adorable with the backgrounds (love) and wobble! 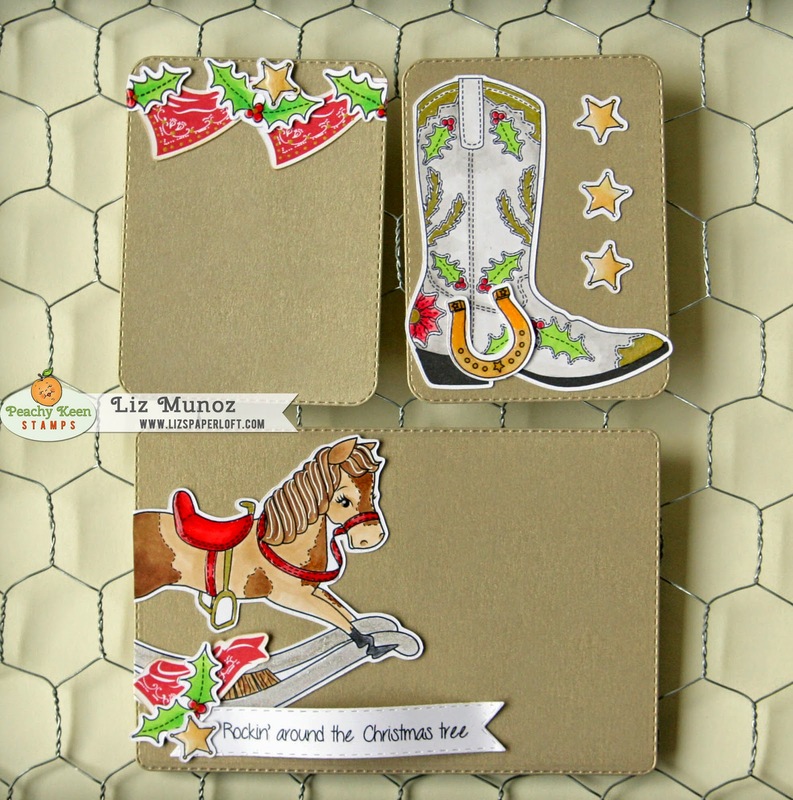 The pocket cards are so pretty...the horse, banner and boot are wonderful. 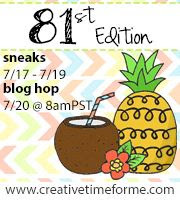 Great projects sneaked! So many fun projects. 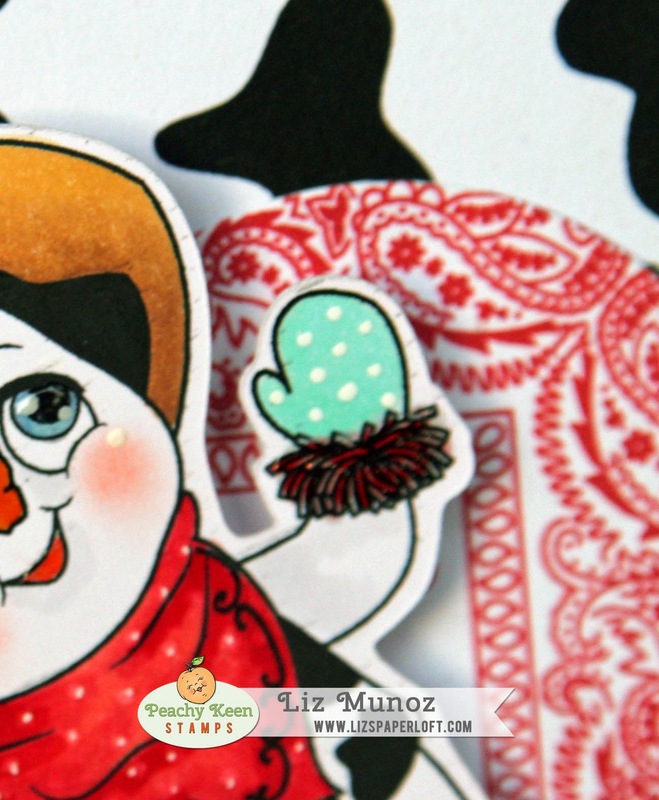 Love the wobble on your adorable snowman! Both projects are amazing. I love the snowmen. These are adorable and the wobble is the perfect idea. Love it!! 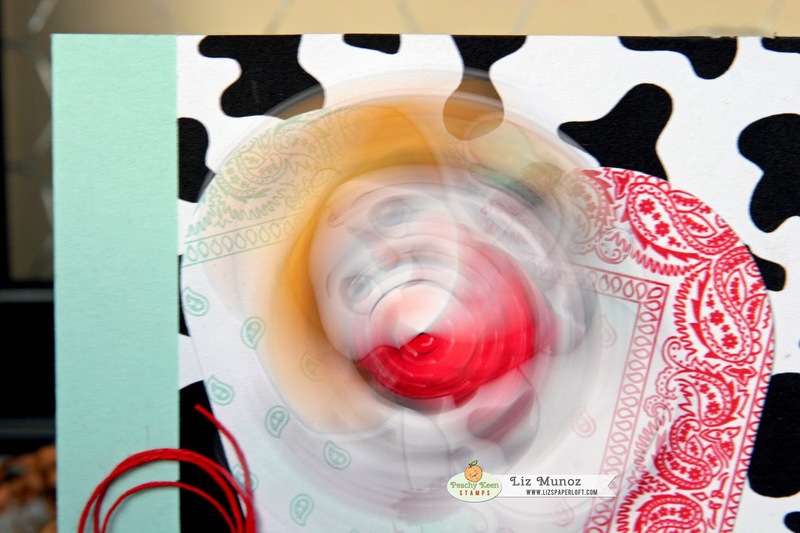 How fun that you put your snowman on a wobble!! I love that!! 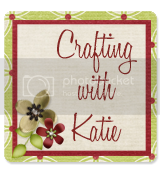 Your pocket cards are so cute and are going to look great in your album! Hugs!! You did a fabulous job!! I love all the cards you made! Thank you for sharing. Love, Love , Love these cards! Super Adorable cards!! 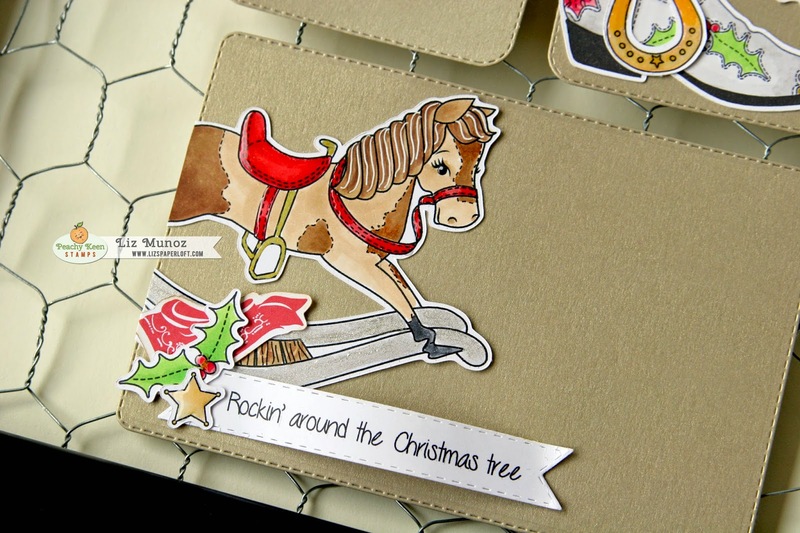 Just Love the Christmas boot card!! Both are Super Cute, COOL and TOTALLY fun! Awesome job! LOVE LOVE LOVE your card and PL cards!!!!! WOW!!! These projects are AMAZING!! !